As anyone who's attended a wedding can attest, there are quite a few expenses that come along with celebrating your loved one's nuptials. Between attending the bridal shower, traveling to the bachelorette party, and adhering to the dress code, your budget might even be tapped before you even receive the formal invitation if you're in the wedding party. Although, contrary to what you might think, "an invitation to a wedding isn’t a request for a gift," says Lauren Kay, the deputy editor of The Knot, one of our go-to sites for find wedding inspiration, planning resources, and more. "As a guest, you have no obligation to get the couple something—but chances are you're excited for the duo and want to show them some love," she adds. Ahead, we ask the deputy editor of The Knot all our most pressing questions about how much to spend on wedding gifts, no matter who's getting married. "According to The Knot 2016 Wedding Guest Study, wedding guests spent an average of $118 per wedding gift, and wedding attendants spent even more, at $177 per event. Use the closeness of your relationship to dictate the amount you spend. For your co-worker's wedding, you might get her and her new spouse a $75 to $100 gift card to their favorite restaurant. If your brother is tying the knot, you might instead select a cool $250 wine fridge from their registry. "Also, keep in mind how much you're comfortable spending overall on the couple—oftentimes wedding guests are invited to pre-parties, like an engagement soirée or a bridal shower. If you plan on attending these too, take the overall amount you want to spend and parcel it out over the occasions. "Want a quick cheat sheet? The Knot recommends spending $75 to $100 on gifts for distant relatives and co-workers, $100 to $150 for relatives and friends weddings and $100 to $200 or more if the wedding is for a close relative or close friend." "Same goes for a monetary gift—give what makes you most comfortable. Gifting cash is totally normal and in many cases preferred by couples who are already living together or saving up for a dream honeymoon, nest egg, or other life priorities. "If you're engaged but feel sheepish about asking for cash, register for The Knot Newlywed Fund. You can ask for any and everything from a sunrise hot air balloon ride to home renovation funds. Couples who create registries load them up with things they really want, so this is always a good place to start. Is there a minimum amount I should be prepared to spend? "If you accept a wedding invite, you should be prepared to give a gift. Again, only spend what you feel comfortable giving. Try to spend at least $50." When should I purchase the gift? 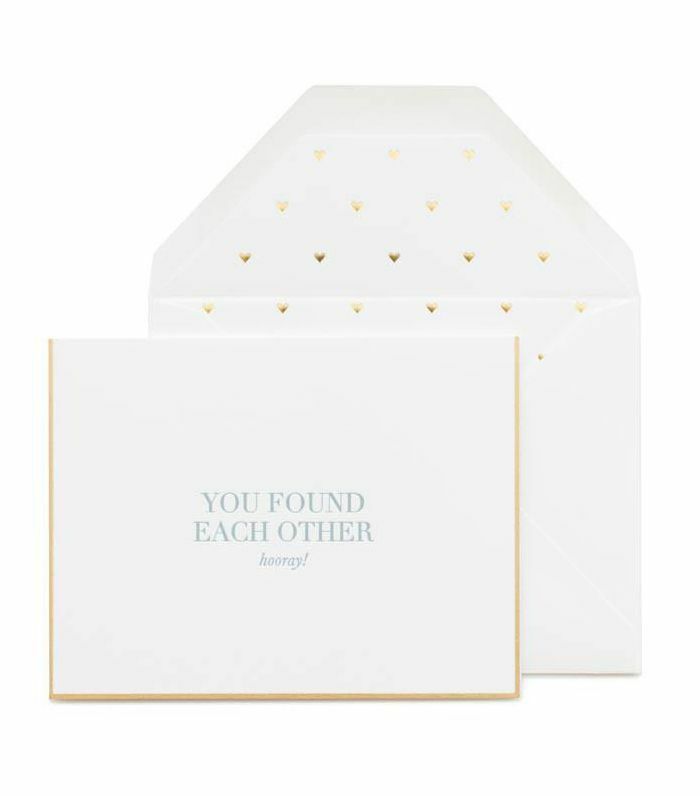 "Best practice is to purchase the gift before the wedding day—this way you won't forget and the couple can get a head start on their thank you notes! "If you miss this window, aim to have the gift there within the first two months of newlywed life. Thanks to online shopping, there's really no excuse not to! "And don't bring your gift to the wedding (the one exception is a card with cash or check). Couples won't want to lug home that new juicer after a night of dancing." Should I veer from the registry? "It's best to stick to the registry—these are gifts the couple has chosen and genuinely want! It's best to shop early, so you have the widest selection to choose from. The average couple in the U.S. registers for an average of 133 items on their wedding registry, so traditional gifts aren't going away! "If you want to flex your creative gift-giving muscle, pair something from the registry with a gift of your choosing. Perhaps you buy a wine rack from the couple's registry and pair it with your favorite pinot noir." "Always pair your gift with a thoughtful card—a message of well wishes for the couple is always a nice keepsake!" And now: Shop the items that should be on every bride's registry.